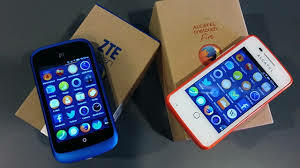 Home » TECHNOLOGY NEWS » WILL FireFox OS SURVIVE? It's the era of competition. Everyone seems to stand in a row for the race. Now Firefox OS came to market and stand with android and iOS but the question is, will it survive or it will be the next top OS? The very first thing is impressive. It should impress android and is users with its new features and specifications but it was not able to do that. It launches its mobile with qualities already available in many mobiles. That's why Firefox not able to impress anyone. It is web based OS which is a very big question mark. Firefox made easier for peoples its usage with internet. These days internet is much advanced. But this OS is not so good in those countries where there is no internet connection available. It completely not gonna competes with the iPhone. Mozilla uses low market which is not so popular like Alcatel, ZTE. They don't have a very big presence in many parts of the world. It should sign up with high brands like samsung htc etc. Mozilla has done a great job of developing popular games and apps. But one thing is obvious that its store can't compete with Android and is stored because they are too old and have thousands of apps. This is a very negative point for F OS. For a layman it is not easy to run the new OS with little knowledge, mozilla has not kept this thing in mind and there is no educational center platform. Mozilla has already surrendered and said that there is no competition with android and is. But this is for those who don't want this platform, which is totally wrong.